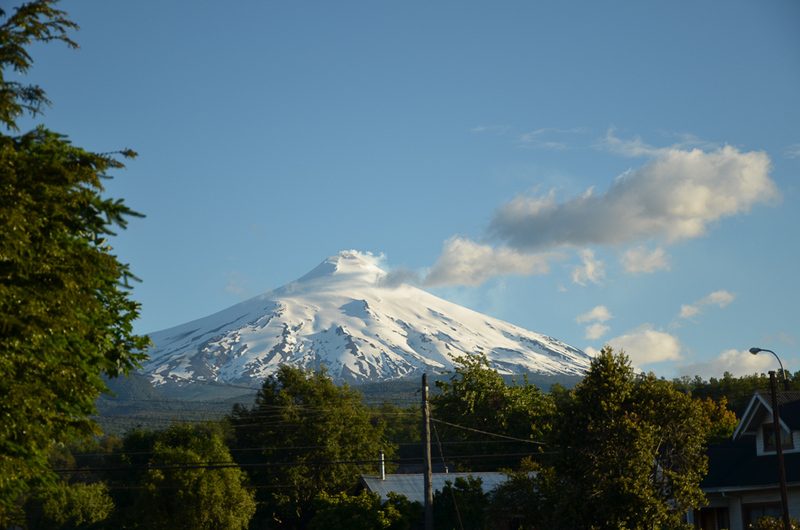 We are in Cunco, a small village in the region of Araucanía in Chile. 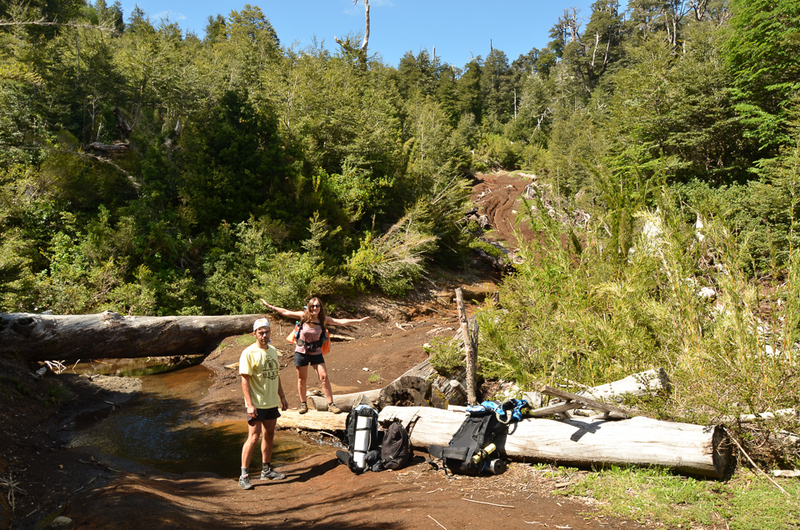 As the name rightly suggests, this terrain is populated with araucaria trees. 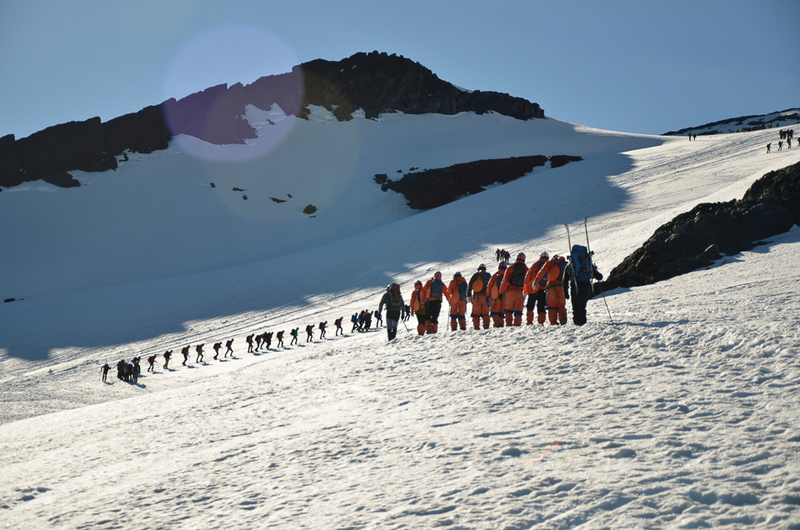 We stock up and head towards Lake Colico. The first car we encounter pulls over to offer us a ride. 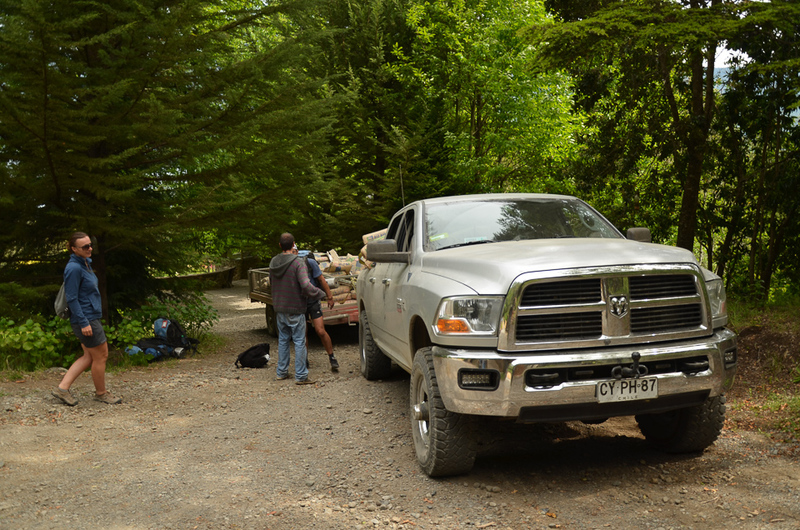 It’s a giant, heavily overloaded Dodge RAM 2500. Its hood is almost at the height of one’s head. Benjamin, the driver, surely believes in the power of his road monster. It carries a total of 11 tonnes of cement in cargo bed and a trailer. As if it was not enough, he offers us a lift. The pick-up car is loaded almost like a full-size truck! Benjamin turns out to be an extremely welcoming guy. He invites us for a dinner in his family house. 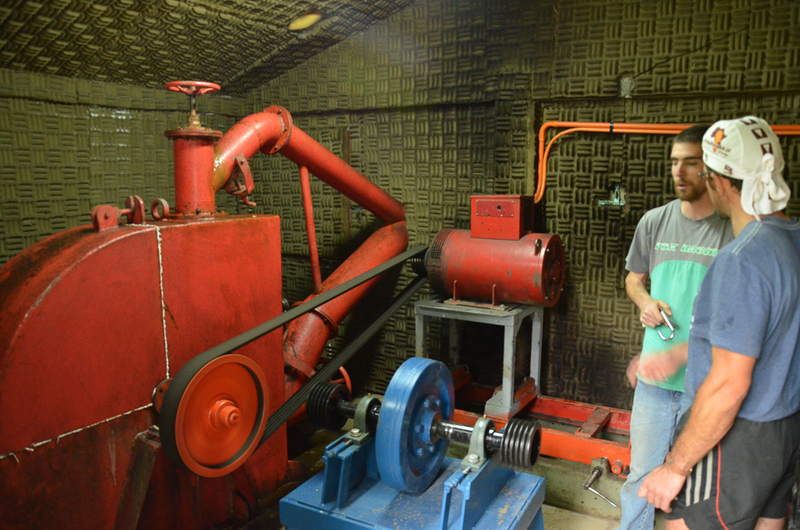 He shows us a hydroelectric power station producing electricity for the needs of their household. Benjamin’s family is focused on developing tourism here. 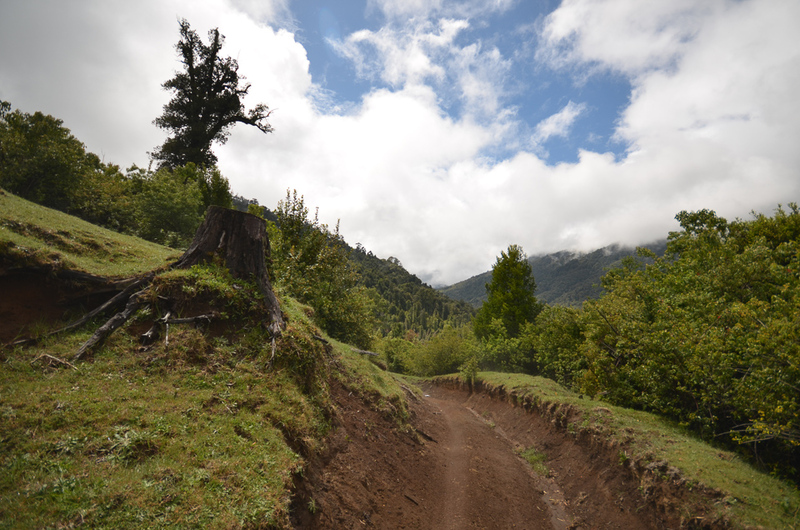 The place offers perfect setting thanks to the proximity of nature and peaceful ambience. 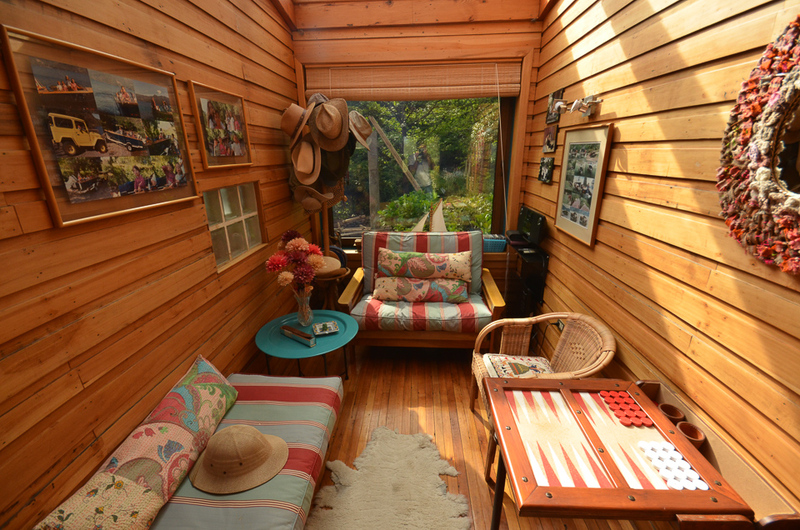 The interior of the house is full of travel souvenirs and outdoor accessories. They got even kayaks hanging over dining room table! 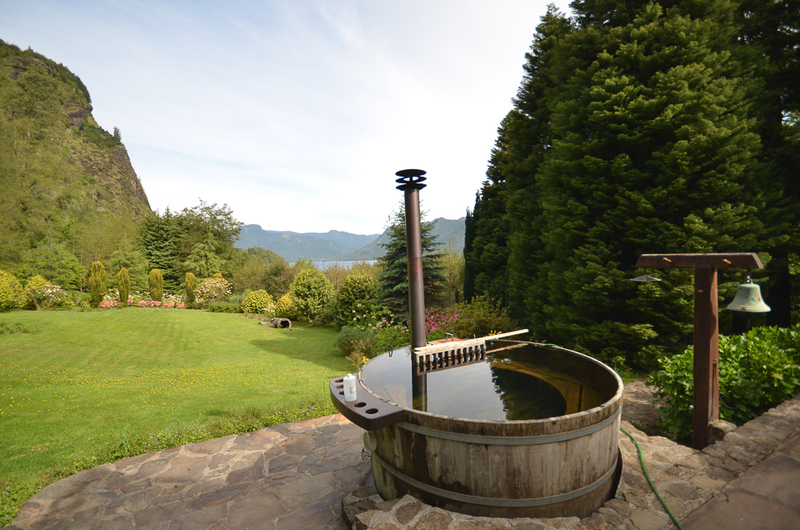 Outside, there are horses, hot-tub and a private coastline with pier and place to picnic. 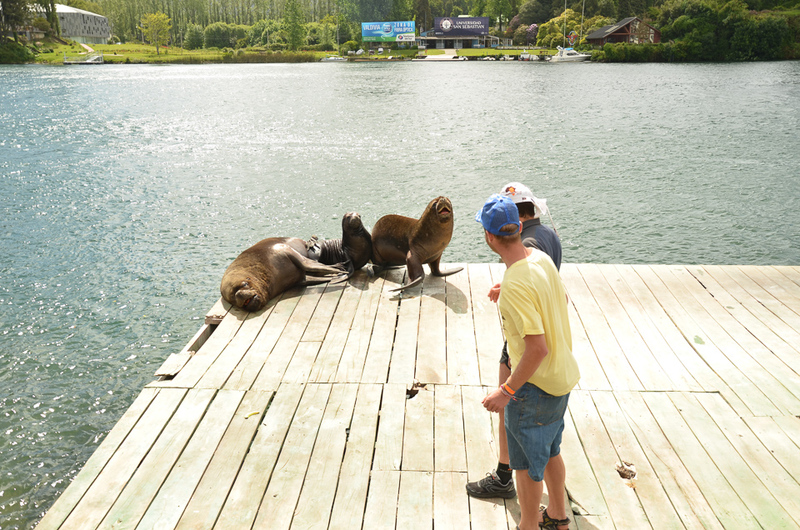 We jump off the wooden pier into the Lago Colico and admire idyllic surroundings. It turns out that beaches in Chile are public. The access to them, however, is very often private, which makes it an interesting paradox. We try to follow the trail, but soon we get lost. Luckily we manage to find a tiny meadow by the river to stay for the night. As we enjoy the evening by the bonfire, I realize there is a leech stuck to my leg. I pull it off with my fingers and the moment I’m going to sleep I wonder how many other leeches are going to be under my tent during that wet and rainy night. 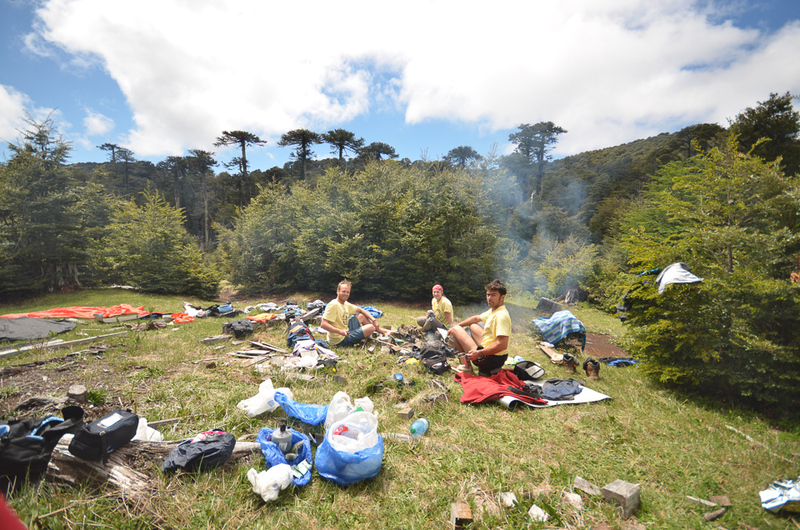 Downpour during the night is also a water resistance test for a tent bought in a Chilean supermarket. As expected, the tent fails the test. In the morning, we wait until the rain calms down and start walking. 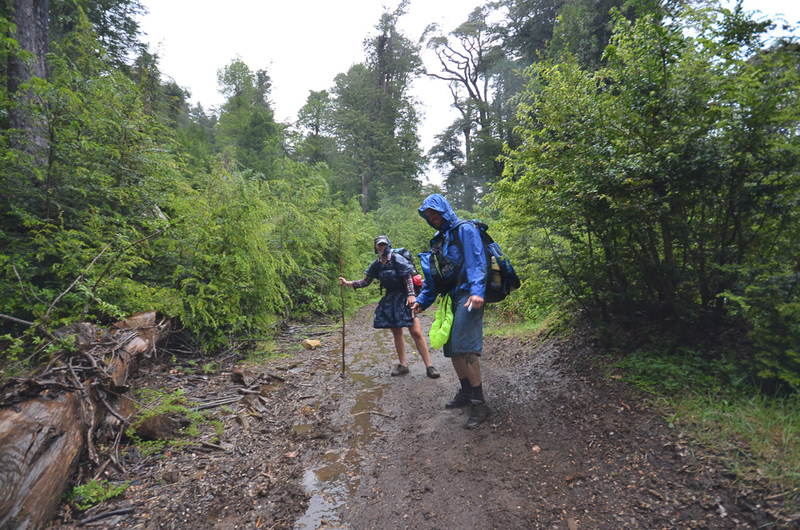 After a few kilometers hiking it starts to rain heavily again. Soon we are completely soaked. 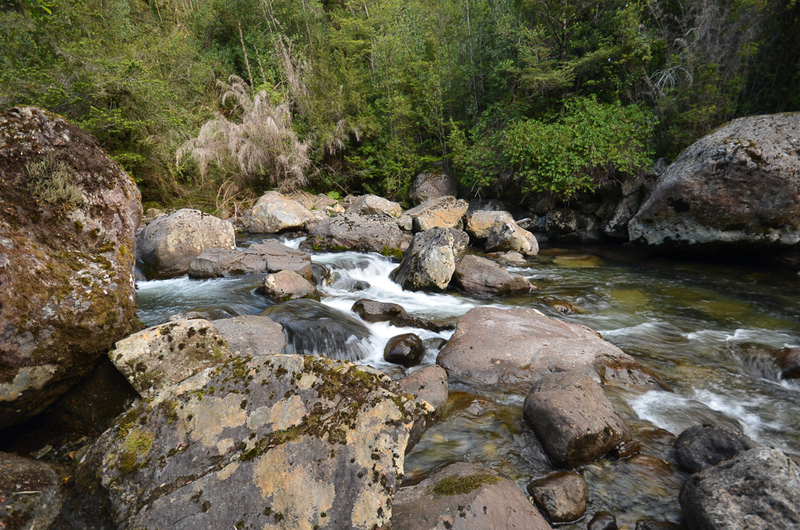 To that end, we have to cross the ice-cold, turbulent river with water level reaching up to thighs. Moments later we get extremely cold. There is no other solution but to keep walking. 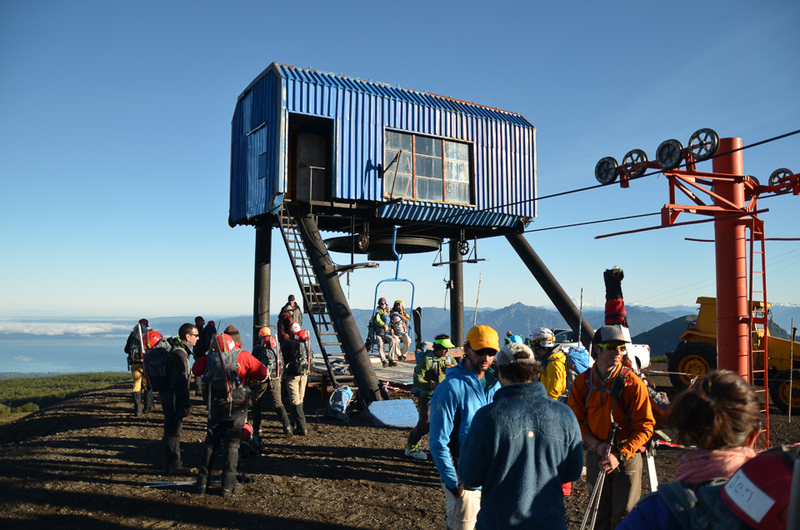 A couple of hours later we arrive to some abandoned construction site that one day might become a mountain hut. We fold up in sleeping bags and shivering and completely soaked wait for several hours for the next day to come. We kindle a bonfire and spend most of the morning drying clothes. This time, to our joy – the sun appears. 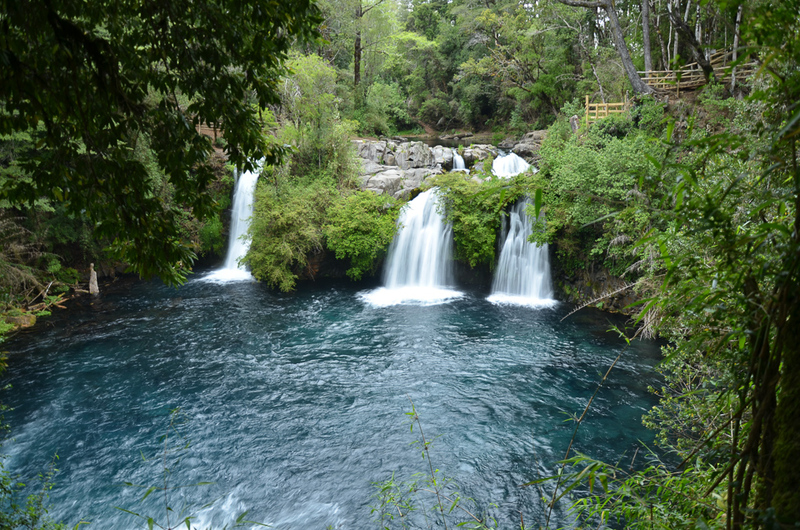 We reach waterfall Ojos de Caburgua and become instantly mesmerized by its three streams of water coming into the turquoise river. The area has several other picturesque waterfalls. Bellavista is one worth-a-visit and the other’s name unfortunately escapes me. 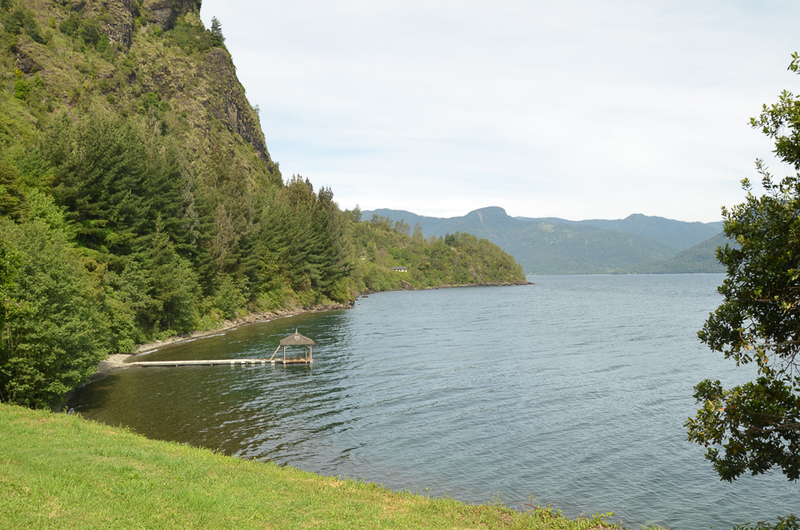 The road to Pucon is not a busy one. Here once again we experience Chilean hospitality. An old jeep with a few widows missing pulls over. We meet Omar, a retired Chilean of French-Italian origin, who usually drives from his mountain ranch to the valley once every two weeks to do laundry and meet friends. Omar takes us to the town and invites for a coffee in place run by his friend. 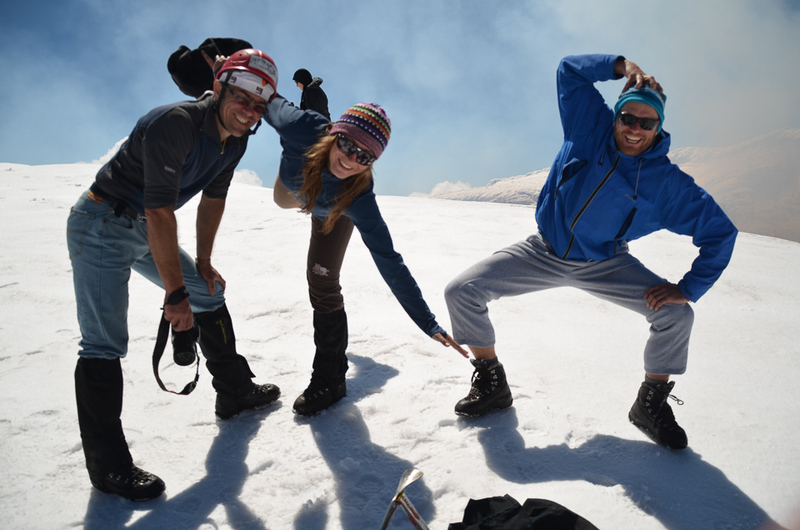 Finding a place to sleep and a travel agency to climb Villarrica volcano is way easier that we thought. The following day we start the ascent. Out of the entire group, only me and Światek prefer to walk instead of taking a lift to skip the first part of the hike. We catch up with the rest of the group after 45 minutes of uphill walk. 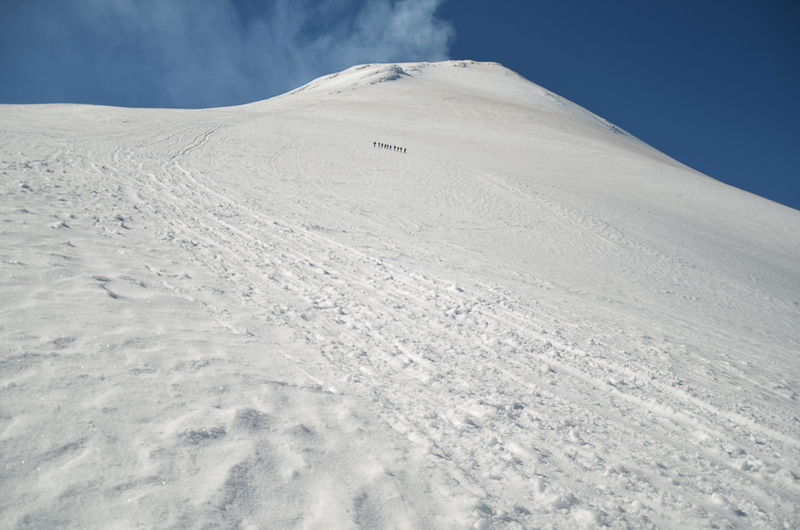 The entire hike from the base to the volcano crater takes about 3.5 hours. The weather is sensational. 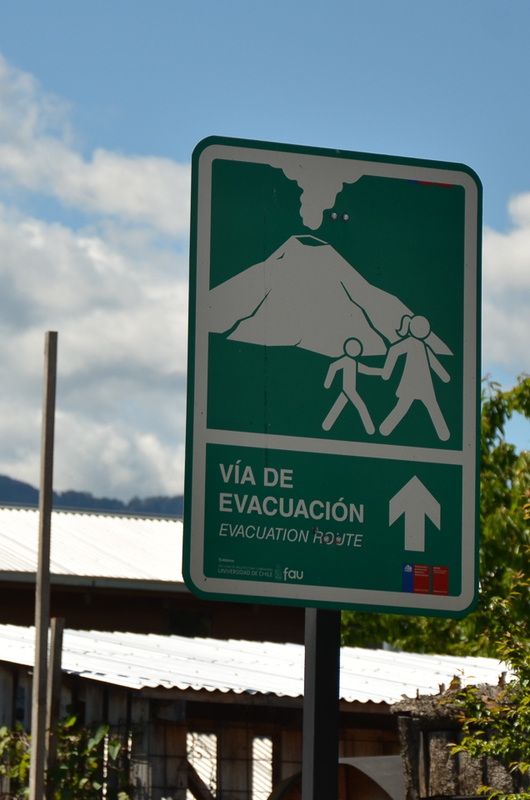 The only cloud on a clear blue sky is the smoke coming out of the volcano. 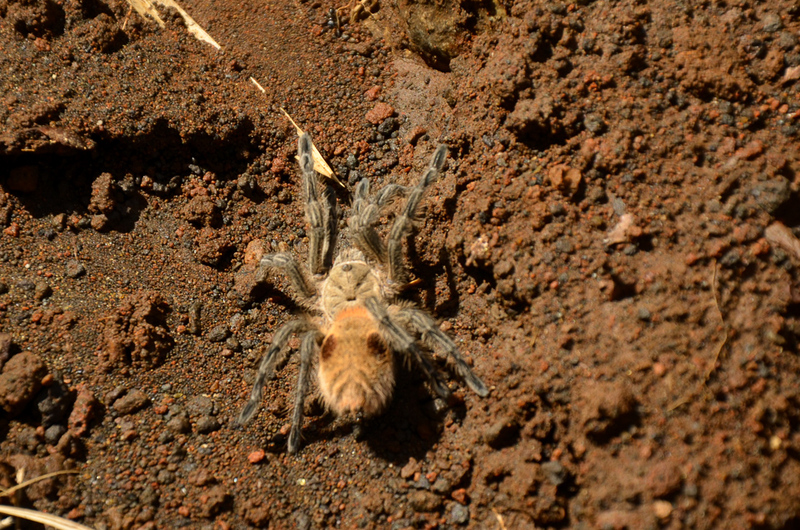 It quite a new experience to look inside the crater of a dormant volcano. The air smells of sulphur. 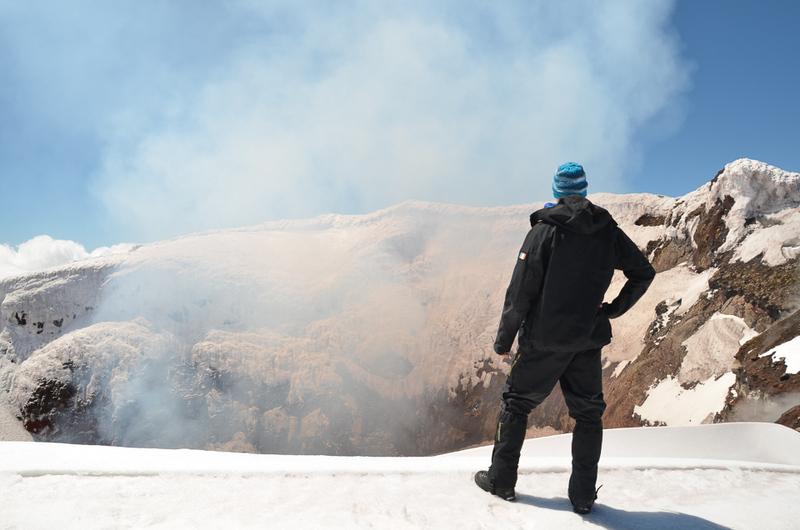 NOTE: It turns out that on 3 March 2015, a few months after our visit, the Villarrica volcano erupted for the first time since 1971. I wonder if it is better to be there too early or too late? Probably too early, so you can enjoy the downhill sledge ride on the snow from the top to the foothills. By some strange coincidence, we find ourselves in the village of Valdivia. 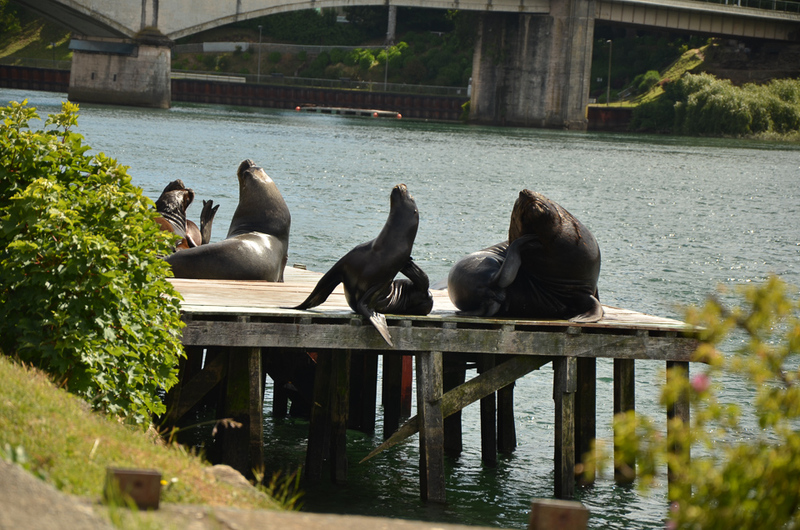 The main curiosity is a chance to meet face to face with sea lions. 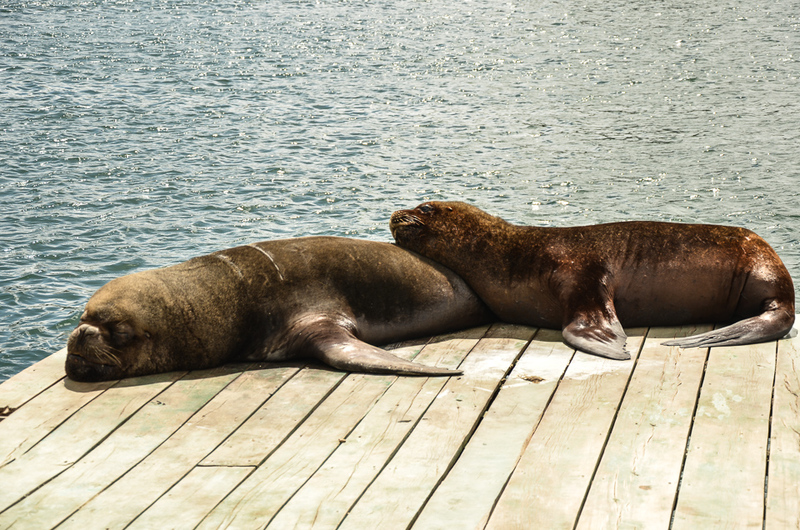 For the first time we have an opportunity to play with them a little bit and quickly realize how alarmingly fast they can move as one trespasses their territory – a wooden platform – and lays down trying to pretend being sea lion. Adrenaline guaranteed! 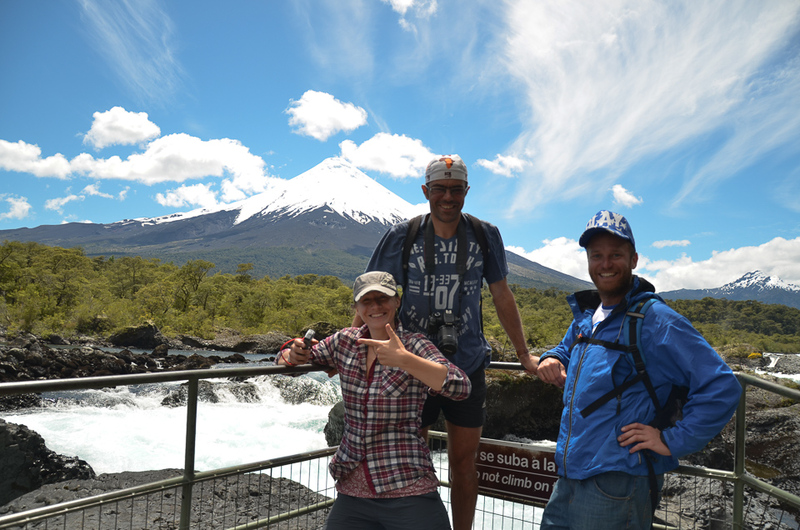 We continue towards Puerto Varas, a fancy town in the Bavarian style. It undoubtedly owes the charm to German settlers from the 1850s. 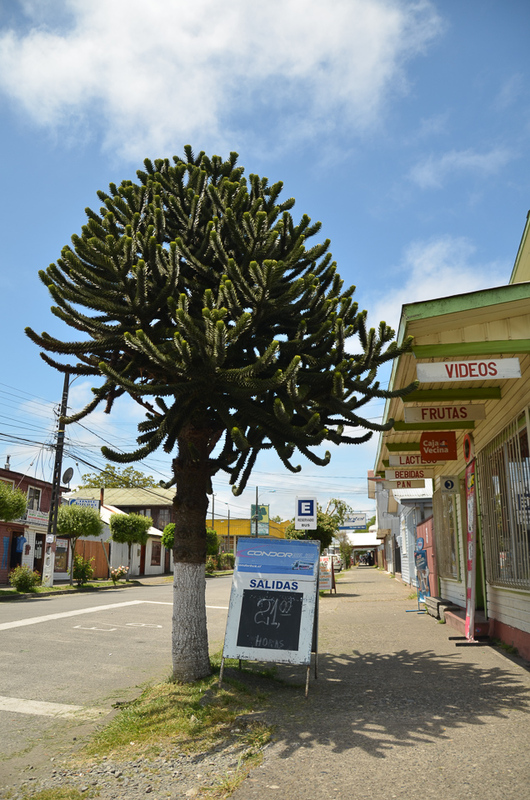 The city is picturesquely situated by Lake Llanquihue. We spend a few relaxing days exploring the area. 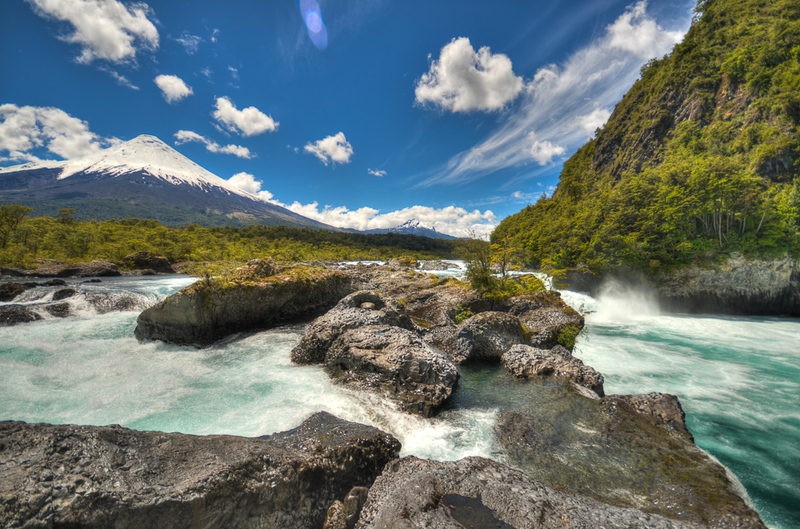 The most impressive setting is by the waterfall called Salto del Petrohue. A powerful stream of water squeezes through a narrow canyon formed by lava. 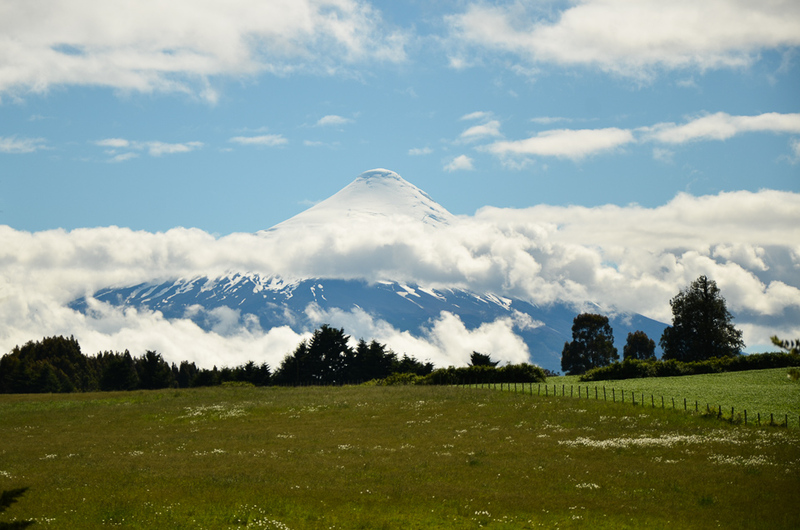 Mountains covered with green vegetation contrast with perfectly turquoise lake Todos los Santos, a snow-covered volcano Osorno and blue sky with a few distinctively white clouds. Crystal clear water gets into pale blue shades. 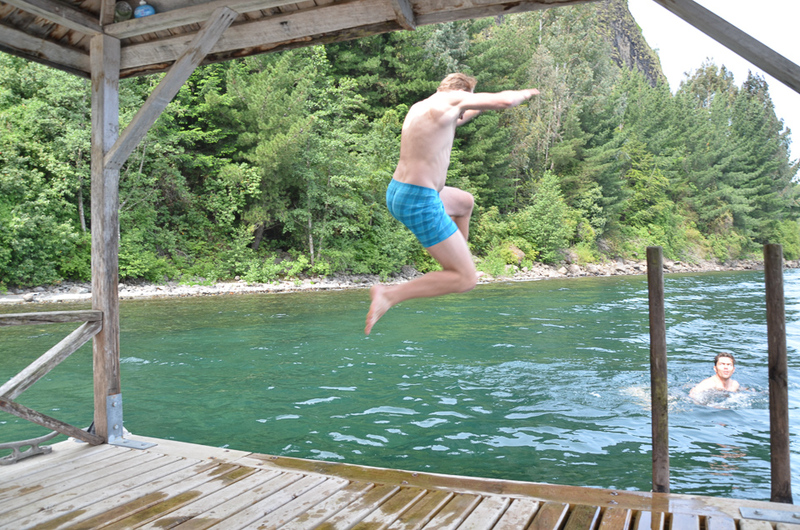 We jump to take a swim in the refreshingly cold water. In the evening it is time for a farewell a beer by the lakeside in Puerto Varas and set off. Each of the three of us in a different direction.